The American Jewish Joint Distribution Committee (JDC) Archives is pleased to announce that it is accepting applications for its 2018 fellowship program. In 2018, 6 fellowships will be awarded to senior scholars, postdoctoral researchers, graduate students, and independent researchers to conduct research in the JDC Archives, either in New York or in Jerusalem. The Royal Bank of Canada Foundation-Bodleian Visiting Fellowship 2018 and the Bahari Visiting Fellowship in the Persian Arts of the Book 2017-18 are now accepting applications. The Humanitarian Response Network of Canada (HRN) is a vibrant community of practice made of 32 Canadian humanitarian organizations. The HRN seeks to share lessons learned with the view to strengthen the quality and efficiency of humanitarian action by creating a conversation around key humanitarian policy issues and practices. 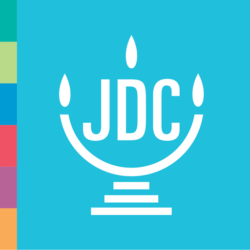 The American Jewish Joint Distribution Committee (JDC) Archives is pleased to announce that it is accepting applications for its 2017 fellowship program. In 2017, 5-6 fellowships will be awarded to senior scholars, postdoctoral researchers, graduate students, and independent researchers to conduct research in the JDC Archives, either in New York or in Jerusalem. Topics in the fields of twentieth century Jewish history, modern history, social welfare, migration, and humanitarian assistance will be considered, as well as other areas of academic research covered in the JDC archival collections (http://archives.jdc.org/). The fellowship awards are $2,500-$5,000. Please visit http://archives.jdc.org/about-us/fellowships.html to apply and for further information. Deadline for submission: Sunday, January 15, 2017.